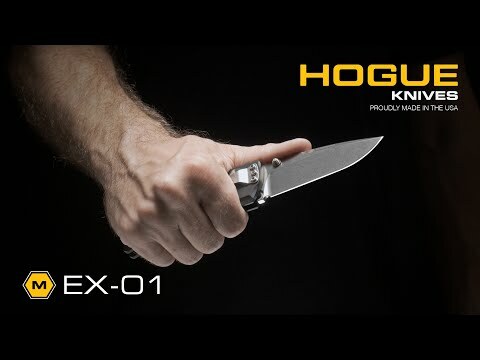 Refined but rugged, the Hogue EX-01 manual folding knife with solid black G-10 scales is an excellent option for hard work or EDC. Designed by Allen Elishewitz, the EX-01 features a 3.5" 154CM stainless steel flat ground bayonet blade, quick and easy deployment via the ambidextrous thumb studs. Once open, the blade is securely locked open with a convenient plunge lock. 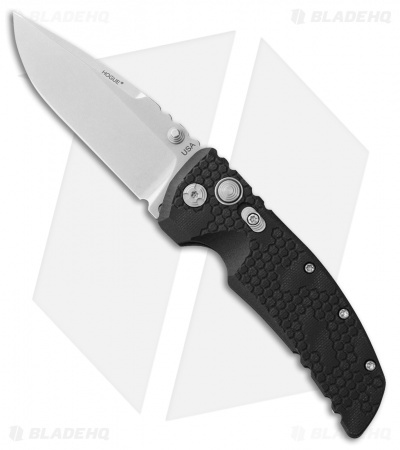 An integrated sliding safely can lock the blade closed or open depending on use. Solid black G-10 scales with textured tread pattern ensure a slip resistant surface in hand. 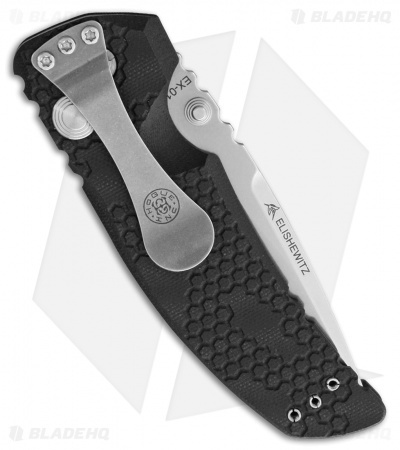 Reversible tip-up or tip-down, right side stainless steel pocket clip allows for easy pocket carry.